Hi there! As you know, I'm currently vacationing with family for the next few days -- my littles are experiencing Disney World for the first time! While I can appreciate a good pair of mouse ears and princess lunches, the smiles upon my kids' faces are priceless. I can't wait to share our experiences with you upon my return. Until then, I have some really wonderful people submitting posts in my absence. I’m so excited to be guest posting today for All My Happy Endings. I’ve been friends with Mandi for nearly 10 years. When I was younger I often heard those who were older than me say that people could really only count their true friends on one hand. I thought surely they were wrong. Especially now with Facebook, Twitter, Instagram, LinkedIn...certainly we have TONS of friends, right? Tons of friends doesn’t equal tons of true friends. Now that I’m older, I see how we go through cycles of friends as we experience various stages in life. Career changes, financial status, divorce, marriage, children, health changes...So many things happen in life that cause people to come and go in and out of our lives. 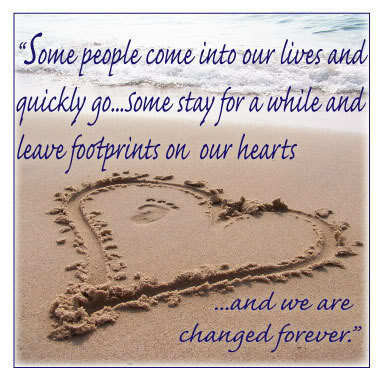 I have personally experienced each of these life changes and they have taught me how to define my true friends. can pick up where we left off--even if it’s been a while. don’t care if I’m having a rough time and am temporarily not myself. understand that sometimes life gets so crazy that you have to hunker down. drop what they’re doing to pitch in during a health crisis. don’t care if my house looks “lived-in”. know my serious side and my silly side AND love that I’m weird. are truly excited and are not jealous of successes I may experience. don’t expect me to always be on my “A game”. have seen me without makeup and still think I’m pretty. While there are countless ways that I’m now able to define my true friends, there are indeed only a handful of people I truly call my friends. I cherish each and every one of them. All My Happy Endings’ own Mandi Roach is one of those cherished friends. How do you define your true friends? I'm visiting today from Linkin' w/my Ladies. Thanks for visiting -- your comment is appreciated! Aww, Reminds me of me and bestie! Found you through through the blog hop, I'm new to it! A newbie, huh? Well, you're so welcome here -- I love newbies, and I still consider myself one...always learning. Glad to have you! It is so rare to have such a great friendship like that. You are very lucky! Found you from the “Linkin with my ladies” Thursday Hop.